The term eponym is derived from the Greek words epi- "sur" and onima "name." It is hardly possible to imagine daily life without eponyms, although we are not always aware of using them. Just think of diesel engine, pasteurized milk, degrees Fahrenheit or Celsius, to name a few. Eponyms are found in nearly all sciences, including mathematics, astronomy, physics, chemistry, geography, palaeontology, and botany (to mention a few: Pythagoras, Gödel, Fourier analysis, Avogadro). The use of eponyms is not new. Carl Linnaeus (1707-1778) used them in botany. Other eponyms became verbs (galvanize, faradize) or units (watt, ampère, ohm, joule). The French "préfet" (prefect) of the Seine department Eugène-René Poubelle made the use of garbage cans obligatory, hence the French word "poubelle" for garbage can. Medical eponyms are derived from various sources. They are not only named after the discoverer of a disease or microbe who is honoured (Borrelia Burgdorferi, Pick disease, Alzheimer's). Sources also include mythical figures (Ondine's curse, Oedipus complex), fairy tales (Alice-in-Wonderland syndrome), literature (Pickwick syndrome, Ophelia complex), artists (Brueghel syndrome), location (Lyme disease, Glasgow coma scale), and famous patients (Lou Gehrig). The use of eponyms is not generally accepted. There are adversaries and advocates. London neurologist William Gowers (1845-1915) wrote that "this system of nomenclature is full of inconvenience, increasing the difficulties of the student, and leading to frequent mistakes in scientific writings," but he could not prohibit the use of his name in several eponyms4. 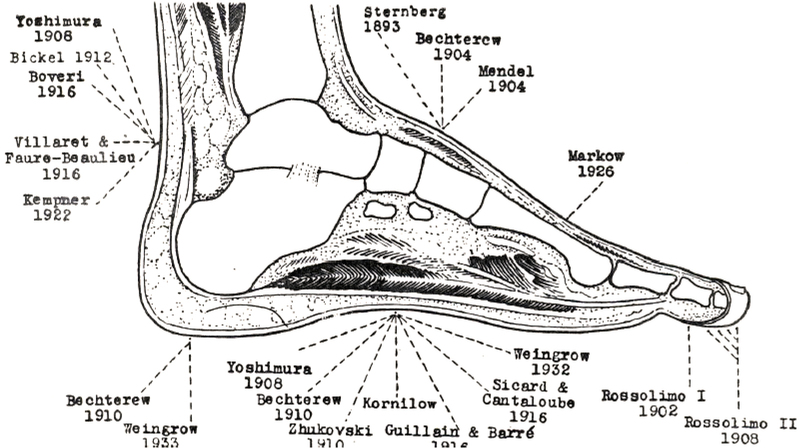 In his monograph on reflexes, Robert Wartenberg wrote that following the discovery by Joseph Babinski of the extensor plantar reflex, Wartenberg wrote about a plethora of discovered reflexes. The mania to associate eponyms to reflexes and phenomena was particularly endemic in Europe. Wartenberg was in favour of descriptive terms. However, descriptive terms also have disadvantages, for instance, when the understanding of phenomena or diseases change. Interestingly, he could not prevent the usage of his name for eponyms (e.g., Wartenberg sign for pyramidal involvement of the upper extremity). Many eponyms concern men. Even if the name refers to a woman, not everyone will realize this. In April 2017, Dr Stephen Reich, current chair of the History Section of the American Academy of Neurology, organized a history course in which eight eponymous women in neurology were presented. In the following section, I will summarize them. 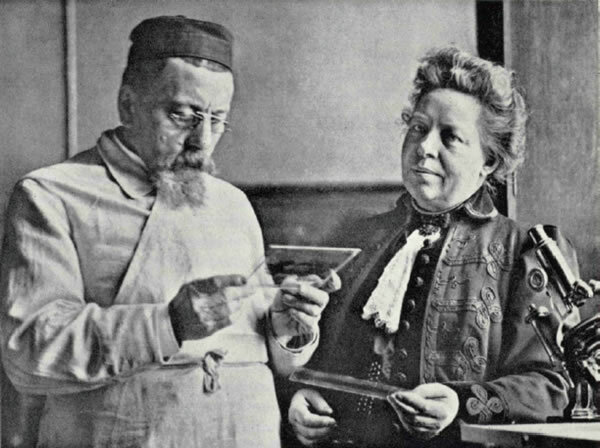 Augusta Dejerine Klumpke and her husband. Born in Paris, where she studied medicine, Gabrielle Lévy became a pupil of Pierre Marie. 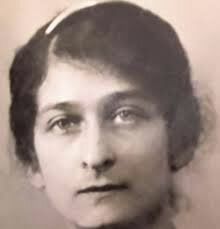 She published on many subjects, the most important being post-encephalitic syndromes, which was also the subject of her 1922 thesis, and neuro-oncology, a subject she worked on when employed at the Paul-Brousse hospital that became an oncology center. 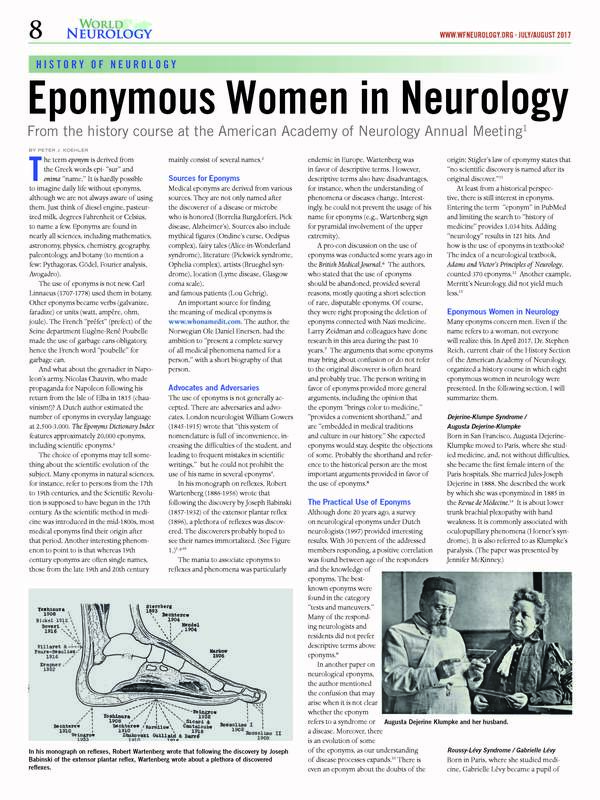 This paper is based upon the Introduction of the 2008 AAN History Course "Eponyms in Neurology" (by PJK) and the 2017 AAN History Course "Eponymous Women in Neurology". Arts NJM, Koehler PJ, Bruyn GW. Inleiding [Introduction]. Het neurologisch onderzoek in eponymen [The neurological examination in eponyms]. Nijmegen, Arts & Boeve, 1995, pp.1-10. Gowers WR. The diagnosis of diseases of the spinal cord. London, Churchill, 1880. A revealing letter. J Hist Neurosci 2017;26:169-192. Wartenberg R. The examination of reflexes. A simplification. Chicago, The Yearbook Publisher, 1945. Woywodt A, Matteson E, Whitworth JA. Should eponyms be abandoned? BMJ 2007;335:424-5. Kondziella D, Zeidman LA. What's in a Name? Neurological Eponyms of the Nazi Era. Front Neurol Neurosci. 2016;38:184-200. Koehler PJ, Bruyn GW, Pearce JMS. Neurological Eponyms. New York, Oxford University Press, 2000, p.v-vi. Franke L, Koehler PJ, Bruyn GW. The use of and familiarity with neurological eponyms at the close of the 20th century by Dutch neurologists. An inventory Clin Neurol Neuro¬surg 1997;99:91-8. Okun MS. Neurological eponyms – Who gets the credit? J Hist Neurosci 2003;12:91-103. Stigler SM. Stigler's law of eponymy. In: Gieryn TF, ed. Science and social structure: a festschrift for Robert K. Merton. New York, NY Academy of Sciences, 1980. Rowland LP (ed). Merritt's Neurology (11th ed.). Philadelphia, Lippincott, Williams & Wilkins, 2005. Dejerine-Klumpke A.. Contribution à l'étude des paralysies radiculaires du plexus brachial. Paralysies radiculaires totales. Paralysies radiculaires inférieures. De la participation des filets sympathiques oculo-pupillaires dans ces paralysies. Revue de Médecine 1885, 5: 591-616, 739-90. Roussy G, Lévy G. Sept cas d'une maladie familiale particulière: troubles de la marche, pieds bots, et aréfléxie tendineuse généralisée, avec, accessoirement, légère maladresse des mains. Rev Neurol (Paris). 1926;33:427-50. Louis-Bar D. Sur un syndrome progressif cormprenant des télangiectasies capillaires cutanées et conjonctivales symétriques, à disposition naevoïde et des troubles cérébelleux. Confin Neurol 1941;4: 32-42. Boder E, Sedgwick RP. Ataxia-telangiectasia; a familial syndrome of progressive cerebellar ataxia, oculocutaneous telangiectasia and frequent pulmonary infection. Pediatrics 1958;21: 526-554.